An old classic gets a delicious and healthier update with this Avocado Chicken Salad recipe. It’s a mayo-free chicken salad that is sure to become a lunch favorite! Super healthy fats like avocado and extra virgin olive oil take the place of mayo. If you aren’t a fan of mayonnaise or are just looking for a healthier alternative to it, then this recipe is for you! Chicken salad is one of my favorite lunch dishes. I’ve tried a variety of different versions and have loved them all. This one is no exception, and I can enjoy it knowing that I’m getting a good balance of protein and healthy fats. You can serve it in lettuce cups or on your favorite bread. 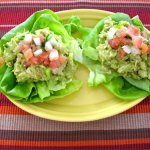 Either way, this Avocado Chicken Salad makes a tasty dish for lunch! Cut the avocado in half. Remove the pits, scoop the flesh out with a spoon, place into a bowl, and mash well with a fork. Stir in the onion powder, garlic powder, ground cumin, salt, olive oil and balsamic vinegar. Add the diced chicken, celery and onion to bowl, and mix together well. 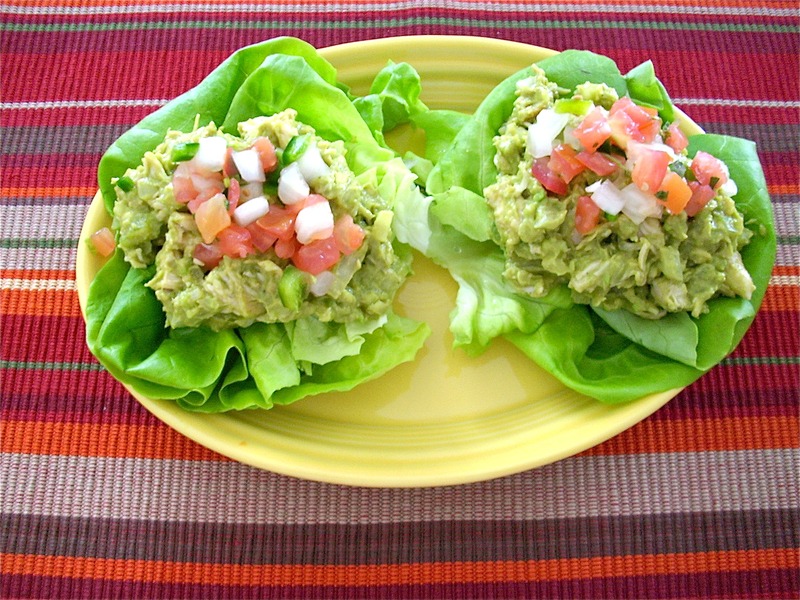 Serve on lettuce cups and top with pico de gallo.